Asian Business School invites leading prominent recruiters from different industries to provide excellent opportunities of employment in the most sought after sectors to its PGDM students. 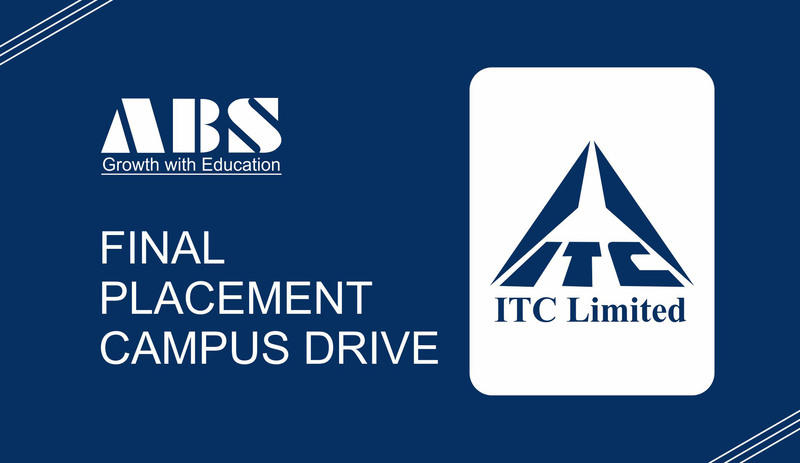 PGDM final year students of batch 2017-19 participated in the pool campus drive of ITC Limited, a multi-business conglomerate, on 10th August,2018 for the ITC final process. The executives of ITC limited started the drive with a Pre Placement Talk and briefed the students about the Company Profile & its products, Job Role and Package. The Recruitment process of ITC was rigorous and comprised of four stages: Aptitude Test, Group Discussion, Personal Interview, and Psychometric Test. It was compulsory to clear all the four round for the selection. ABS students appeared for the process to prove their candidature and two of our extraordinary students Mr. Sandeep Singh and Mr. Abhinav Prakash of PGDM final year batch 2017-19 finally qualified all the rounds to fetch their dream job at ITC limited. ITC Ltd. has offered them a package of 5.5 LPA for the profile of Sales Officer into FMCG sector for marketing specialization. ABS congratulates the selected students and wishes them good luck for their future endeavors.